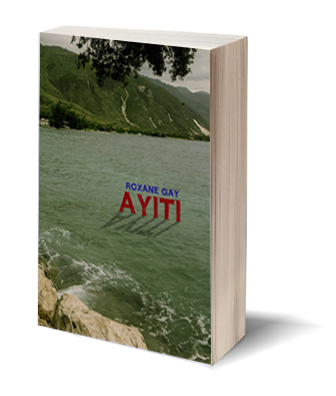 Ayiti (Artistically Declined Press), Roxane Gay’s collection of stories, is one of the most stunning debuts of the year. For those already familiar with her work on websites The Rumpus and HTML GIANT, as well as literary journals like PANK (where Gay serves as an editor), should not be surprised at such a statement. For those who have not had the pleasure of reading any of Gay’s work, know that she moves effortlessly through the worlds of fiction and nonfiction, and never wastes a single word in her work. I know for a fact that I’m not the only writer who is in awe of her uncanny knack to churn out longreads that are nearly perfect from start to finish. Ayiti was the best introduction that I could hope for. What’s your connection to Haiti? Were you born there, are you a first generation American, or is it something else? I was born in Omaha, Nebraska. I am a first generation American. My parents emigrated from Haiti quite some time ago but they instilled in my brothers and I a profound cultural identity and they’ve since returned to the island on a part time basis. Something struck me as I read through down the list of “You Never Knew How…” and that is I’ve read dozens of books and seen dozens of films about Jewish immigrants from Eastern Europe, the big waves of Irish immigration into America, etc. But I felt a bit ignorant when I realized I couldn’t say the same about Haitian immigrant stories. Then I asked a few other friends, and they couldn’t think of any either. That seemed strange to me because it’s such an important and current topic. I find it strange as well. The Haitian immigrant experience is rich and complex and yet it does not seem to garner the same interest as the stories of other immigrants. I am not sure why. There is one truly visible Haitian writer in the US, Danticat, and she has great reach and powerful range, but one writer can only do so much to give voice to the stories of the Haitian immigrant experience. While I am familiar with other writers like Dany Laferrière, I don’t really know other Haitian writers, the writers who would be my contemporaries in indie publishing, mostly because I’ve never lived in the cities where there might be significant Haitian communities but it is interesting given how much the media loves to write the same old story about Haiti that there aren’t other voices trying to provide different perspectives. I loved the love story after the zombi primer. It made me think of the old shtetl ghost tales my grandfather used to tell me when I was younger, and the type that Isaac Bashevis Singer used as inspiration for many of his stories. Did you grow up hearing old Haitian stories as a child? If so, what sort of impact did they have on you? My parents were not storytellers in that sense. They often spoke of Haiti but they didn’t tell us about Haitian fairy tales and the like. I just have a very vivid imagination. Was Creole spoken in your home? Was it your first language? I grew up hearing French, English, and Creole. We spoke a blend of the three languages and still do. I’m always blown away by your ability to churn out so much writing. From The Rumpus to Pank, HTML Giant and this book. You live and work as a writer and teacher at Eastern Illinois University in Charleston, IL., which is a place not located near any major cities. Do you think your location makes it easier to be so productive? I am not sure. Right now, I have a novel (and a short story collection) on submission. The novel,Things I Know About Fairytales, is based on the short story of the same name in Ayiti. It’s about a Haitian American woman who endures and survives a violent kidnapping in Port au Prince and it shows how you can go from living a happily ever after to once upon a time when you least expect. Hopefully an editor will fall in love with the book and I can put more words out into the world. I’m also working on a new novel about a woman who cannot break the bond with the daughter she had via surrogacy for her sister in law. Most importantly, I’m working on becoming a Scrabble champion. Really.